In the last three weeks, I’ve developed an allergic reaction to what, I don’t know. The reaction came in the form of dry, red, and puffy skin that started between my eyebrows, curved around my temples, and ended at the center of my cheekbones. It’s marvelously attractive—if you’re a Pufferfish. It’s been a real hit on my vanity. While awaiting the bloodwork results my doctor ordered (which conveniently won’t be available for several days), I’ve resorted to a look not dissimilar from Wilma Flintstone before she put on her TV face each morning with the aid of a handful of prehistoric creatures—hair drawn back tight to stop it from tickling my ridiculously sensitive skin, cream slathered on to stay my nails from scratching my face to ribbons, and NO make-up. Not fun for a woman only weeks from her 50th birthday and dealing with pre-menopausal hormone changes. 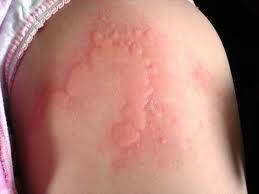 Anyone who has ever had an ant or mosquito bite, an ivy-induced rash, or the chicken pox understands that constant, incessant need to scratch and the supernatural willpower required to not. Lotions can minimize it, but ultimately there’s just the constant need to rub or scrape or something. You can distract yourself temporarily with a book like War and Peace, repaint your garage floor, or carve your shrubbery into Disney icons. But when the distractions cease, the itching hits you like a roll in a nest of fire ants. You think just one scratch. Well, just one more. Then it’s another. And another. Before long you’re in a fevered frenzy to alleviate the burning, raging fire coursing over your skin, and cursing yourself for relenting the first time it prickled you. Now you know what an addiction feels like. To my shame, I have judged others with “How could they do that?” “How could they hurt their family that way?” “Why can’t they control themselves?” Their alcoholism, their drug addiction, their sexual addiction, their food addiction. The truth is a simple itch can be emotionally frustrating and even physically exhausting. In the past three weeks, I’ve sobbed over mine, begging God to take it away because it was unbearably distracting, completely exasperating, incessantly screaming for my attention, demanding for me to scratch, scratch, SCRATCH! But God said no. Hence my four-day wait sitting in the pain. So I could write this blog? Maybe. And maybe it was so, besides my own addiction for control (co-dependency), I can have one more way of empathizing with how addicts live their entire lives. It’s the drip of the faucet in the middle of the night. The splinter in your foot you can’t dig out. The tag in your t-shirt you can’t cut out. The clock that ticks, ticks, ticks until you want to heave it against the wall. Why when He has all the power in the universe to free us, does God leave us in pain? Why does He leave us with the unbearable itch that thwarts our every attempt at relief, that foils our plans, that impedes our path, that leaves us sobbing in the shower to cover up our shame? Because without them we’d be Lucifer, a created being who had the arrogance to challenge his creator. We’d be the builders of the Babel Tower who attempted to erect a monument to themselves to prove how powerful they were. We’d be Nebuchadnezzar who surveyed the vast empire granted him and credited himself for conquering it. “My power is made perfect in weakness,” said God. Sometimes I hate it when He’s right.